Do you just love this set? I've been having so much fun stamping with new products from the Spring Catalog. 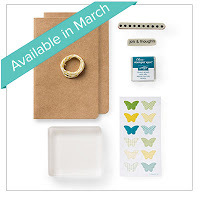 I especially love the bundles of coordinating products Stampin' Up! has designed. 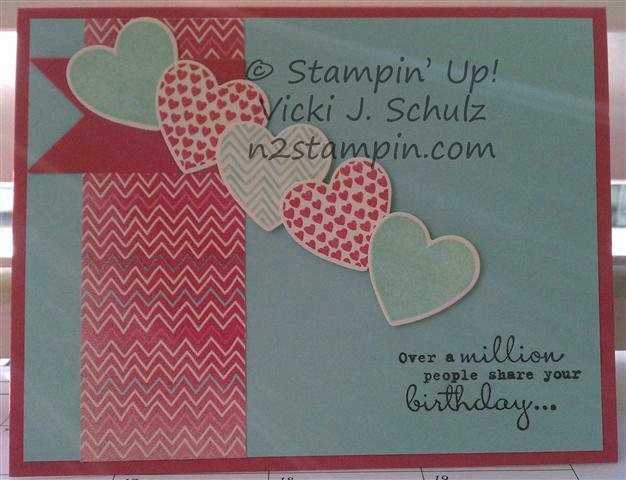 Of course, that is one of Stampin' Up! 's greatest qualities ~ coordinating products. This was one of the cards we did at Dive 'n2 Stampin' this month. I love pulling out my Big Shot! I never would have cut all these hearts out by hand!! And do you just love the little banner?? It's one of the framelit images. I made this card with my sister in mind since her birthday was just before my class. Happy Birthday Debby!!! She should have gotten her card in the mail today. Hey, at least it was in the same month as her birthday. It just seems to be our "thing". LOL! To order your supplies, click here. Stampin' Up! 's New Monthly Subscription Program ~ Paper Pumpkin!!! Have you ever wanted to feel like Cinderella??? Well, now you can... Stampin' Up! 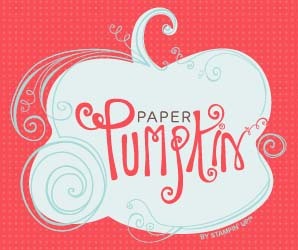 is introducing a brand new program called Paper Pumpkin. Think of it as your very own Pumpkin Carriage arriving at your door ready to whisk you away to your own "Creativity Ball". 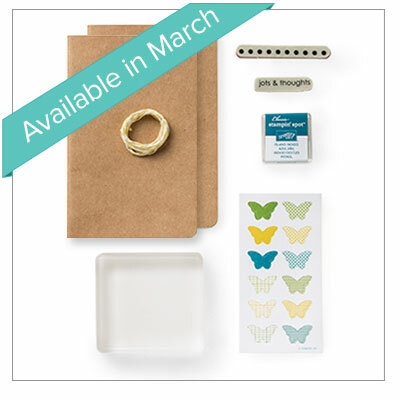 Each month you will receive your kit in the mail in a beautifully designed box. 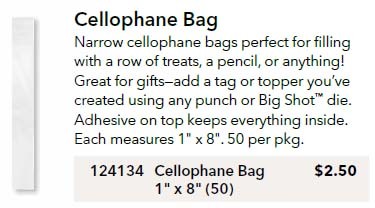 Your kit will include all the supplies you need (ready to do, measured and cut for you) to lock yourself away for a half hour of creative and peaceful solitude. If you're anything like me, sometimes I just need a little "me" time. I know, I know... You're thinking... "But I'm not creative!" ... This is the best part! You don't have to be. You can take your kit and follow the step-by-step instructions using the products included and have a hand-stamped masterpiece to show off to your friends. Or you can change things up a bit and make it your own. The choice is yours! The details: A Paper Pumpkin membership is $19.95 per month (and shipping is included!) There's no commitment, you can cancel your monthly Paper Pumpkin at anytime. You can also skip a month if you want. You need to sign up for a kit by the 10th of the month to get that month's kit. We will ship your Paper Pumpkin on or around the 15th of the month. Ready to go to the ball??? Click My Paper Pumpkin to get started. Don't forget to put my name, Vicki Schulz, in as your demonstrator. Still need to think about it??? Beginning in early March, we'll offer a Try-It kit if you'd like to try Paper Pumpkin for one month.The Paper Pumpkin Try-It Kit will be $16.95 (shipping not included). Treat yourself to your very own half hour getaway! You deserve it!!! Early Bird Reservation ~ If payment and reservation is made before Monday, January 28, 2013, the class fee will be $10. In this class, we will create four projects. Cards will include envelopes. If you cancel less that 10 days prior to the class, the fee is non-refundable; however, you will be provided with the projects made during the class. 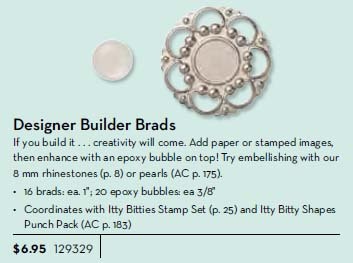 Guest Special: Get a 1/2 package of Designer Builder Brads (Spring Catalog p.12) FREE with a $60 merchandise order. We will be making 3 projects using the Artisan Embellishments Kit from page 10 of the Spring Catalog. The remainder of the kit will be yours to keep. Reservations and payment are due no later than Wednesday, February 6th. 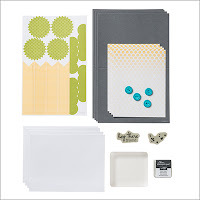 We will create a two-page 12" x 12" scrapbook layout. Reservations and payment are due no later than Monday February 18th. Happy New Year! I have to tell you that I NEVER make New Year's resolutions! I really don't. I think that you should strive all year long to be the best person that you can be, so why wait until the end of the year to look at your life. That being said... as you can tell I haven't been on my blog FOREVER!!! So I have amended my thoughts on the whole resolution thing in this particular area. I am going to really work on changing the frequency in my blog posting. I'm not going to promise to post every day or even every other day, but I will try to post at least once a week. I want to stay connected and share my love of stamping with you. I've been working on scheduling my classes and I've done so through May. I'm so excited about my upcoming classes and I hope you will be as well. I've listed the entire schedule on the left, but for now here are the January classes I'm offering. Don't miss out on the fun! Early Bird Registration ~ If payment and reservation is made before Monday, January 7, 2013, the class fee will be $10. If you cancel less than 10 days prior to the class, the fee in non-refundable; however you will be provided with the projects made during the class. Guest Special: Get a Valentine Treat Bundle FREE with a $60 merchandise order. 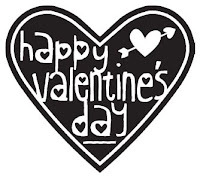 Together you and your child will create 20 Valentines. 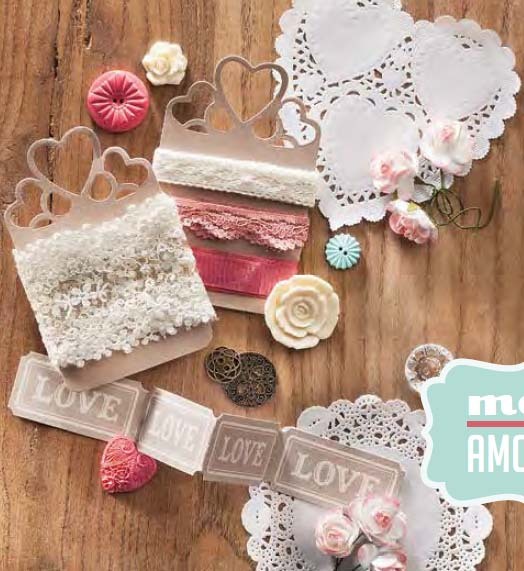 You will receive a package of More Amore Specialty Designer Series Paper (Spring Catalog p.10) that we will be using during class. Reservations and payment are due no later than Monday, January 14th. Come and stock your card supply! 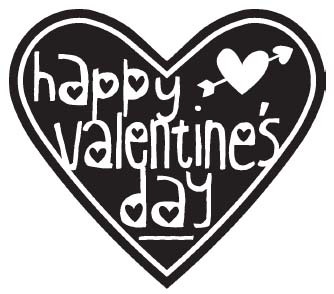 We will create 12 cards ~ 3 each of 4 designs, envelopes included, for a variety of occasions. Reservations and payment are due no later than Monday, January 21st.